Q: How does biological evolution even work!? To speed things up, just add some natural selection. Each dot above represents a biological entity, an individual. Each habitat box starts with one hundred individuals. The individuals all look the same at the start which means that they all have the same DNA. As time passes the population evolves, but no individual actually changes. As new offspring are produced, their DNA are slightly changed from their parents. When you compare the three habitats, you can see that these random changes cause the general color of the population to drift over a long time. Living in close proximity however keeps their DNA relatively similar. Eventually their DNA becomes too “far” from their mate to produce offspring (they become separate species). This goes especially for populations in the three habitats. 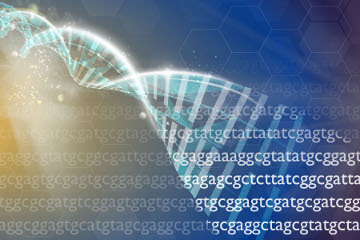 In this online tool, the “genes” of each individual are simply the three letters R, G and B (for red, green and blue). These are the genes that completely make up its traits, so they define what it looks like. The tool combines them to form a typical onscreen color. The individuals move around to add some randomization to the experiment. As time goes by, they grow older, which increases the likelihood that they die. You can modify how quickly they die if you modify the Death rate slider. Occasionally they will attempt to mate with a nearby individual, and if their DNA is close enough, mating will produce offspring. Offspring receive the exact value of R, G or B from any of their two parents parent, and a very small change (a mutation) is added to each of R, G and B. As a subject of science, evolution is more than 150 years old. It was originally presented in 1859 in “On The Origin of Species“, a 502 page book by Charles Darwin, it is now a well established Scientific Theory*. The basis of modern genetics is considered to be laid out by Gregor Mendel who meticulously studied how the breeding of pea plants resulted in dominant and recessive genes. *) So, how can something that is just a theory be well established? Well, this is an unfortunate twist of fate regarding how we use words. In every day usage a theory is at best a “good guess”. This is the opposite of what a scientific theory is. In science a theory is “proven without doubt” through thousands of discussions, publications, measurements, observations. Despite constantly looking for better alternatives through never-ending opposition, the scientific theory still holds! The theory of evolution is well-established. It has been around for a long time, and because of this has grown into a large topic, especially if we include modern genetics in the subject. Several sites cover the topic in a thorough but pedagogical way. Here’s ThoughtCo on Biological Evolution, and Live Science’s article on Darwin’s “Theory of Evolution“. We hope you enjoy our software! Please stay in touch by using the Contacts form.